Welcome to Day 7 of 30 Days of Q&A. Today I am going to be talking about how you can make a positive impact when you first start a role. How do you become the employee that everybody loves? 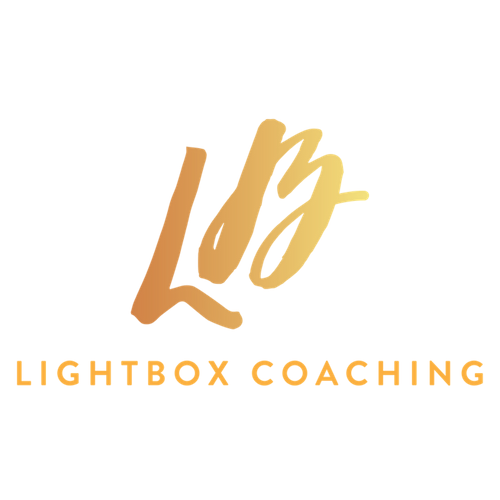 For those that don’t know me, my name is Janine Esbrand and I am the founder of LightBOX Coaching where I help women to build or create careers that they love whilst raising a family. That is a bit about me. Once you gone through the job searching process and you are just about to start a role, it is common for people to feel nervous and not quite know what they should be doing at the beginning to make a good impression. We are going to talk about three different things that you can be doing that can help you to make a positive impression and to become that person that everyone is talking about in a positive light and your colleague will really want to work alongside. When you first start a role, the likelihood is you are not going to have a huge workload and things didn’t have to build up. So, you are going to have more time on your hands. This gives an opportunity for you to look for ways to be helpful amongst your team members. A prime example of this is say one of your colleagues says they need help with Excel or they did not know how to use it, or they did a publication and stuck with something and you are somebody who really knows Excel or use PowerPoint really well, you can offer to help out. Just making that offer and being helpful to those around you can make a huge impact on that initial impression. The first few days that you are in the team, people are judging and accessing you there. They are trying to scope out the type of colleague you are going to be. So, you want to take the opportunity to be as helpful as you can. I can give an example of this where I was starting in my new role after getting back in maternity leave and I would get nervous about how I fit into the team. So, I looked around and look for opportunities to help. One of the senior managers was having some issues with tech and their computers kept crashing and they were not quite sure what was going on and I was able to go in, look at it for him and help him out. From then, I was able to start building a good rapport and relationship with him. So, that is such an example of how that can play out. Think about where you can really connect with your new colleagues. When it comes to listening, often we listen but we don’t fully listen. So, we listen with a view to answering. Someone might be talking and you caught on something that they said, and you are already thinking about what you are going to say next which means the rest of what they said you may not have fully understood, digested and appreciated. If you just practice active listening where you are really listening to what your colleagues are saying, they are going to notice and appreciate that because not everybody does that. Then, you are going to be able to pick up on something that they say. They might be talking about some struggles that they have or what projects they are working on. You can be that person who is picking up on those points and you can look for ways again that you can be helpful or offer an advice. Basically, you are looking for ways that you can deepen your relationship with them quicker. It is all about relationships when it comes to organisations and teams. So, your primary goal in the first few months is for you to be building a good foundation and those relationships before you start getting a big workload and you get really trying to do the work that you are hired to do. Get in the know about the organisation and what the goals are. You might be given small or little projects to work on but all of that is going to be feeding into a bigger picture and goal for the organisation. Whether that is their Non-GLA goal, six-month goal or annual goal, there is a reason why you are given the task that you are given to do. So, if you can understand what the bigger picture is for your immediate line manager or bigger team, then that is going to help you take the initiative. If you know that there is a deadline that is coming up and you finish what you are doing, you can look for ways that you can help work towards that deadline or use some of your skills, experience and contacts to help everybody, move forward and achieve their goals. You want to be thinking big picture and not just focus on the individual tasks and projects that you, in particular, have to work on. Those are just three ways that you can really make an impact. There are many ways. It comes down to being intentional, thoughtful and just thinking about ways that you can leverage your individual skills and experience in the environment that you are in: how you can be helpful, add value and be the person that people feel comfortable coming into and asking to get involved and taking along to meetings. Just be open and show relay and that is going to help you to really stand out in your first 90 days. 90 days is really important for me. That is the period where you are settling in, making an impact and people are really seeing what you are about. Think about those first few months how you can make an impact and go and do that. That is what I have for you today. I hope that you have been joining me for the previous days of 30 Days of Q&A. If you have, it is brilliant. We got much more coming up. This is Day 7. So, we already done a week. On Day 8 we’ll be shifting focus a little bit and talking more about returning to work. So, if you have been on a career break and you are returning to work, then you are going to want to tune in over the next few days. If you know anyone who are in this situation, do share this video with them.